Send flowers to Ecuador with daFlores and enjoy the freshest, most beautiful blooms anywhere. Our florists in Ecuador are all experienced professionals who take great pride in their work. 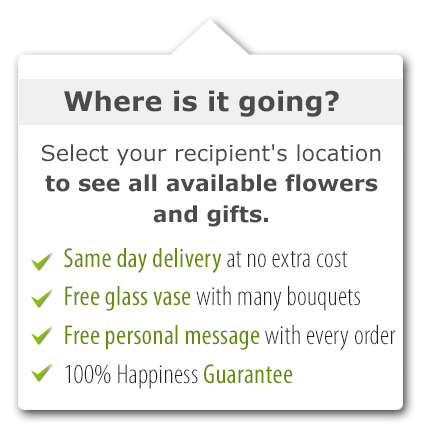 When you send a flower delivery in Ecuador, you and your loved ones will be over the moon - guaranteed. The capital of Ecuador is Quito, a World Heritage Site, and this is one of daFlores' bases. The country's largest city, though, is Guayaquil. We hand-pick and visit all our florists in Ecuador to ensure they're on the same page as we are -- this means 10 years of experience and a commitment to using fresh flowers every morning. There's no recycling of flowers on our watch! Ecuador is split into 24 provinces and daFlores works only with one florist in each metro to ensure the shop can focus on your flower delivery in Ecuador. The country is home to just under 15 million people, and shares borders with Colombia and Peru. Ecuador takes the preservation of its natural resources very seriously. When you send flowers to Ecuador with daFlores, you receive flowers grown especially for that purpose. This helps preserve our week-long freshness promise, and lets our florists in Ecuador use fresh flowers every morning, as we require. 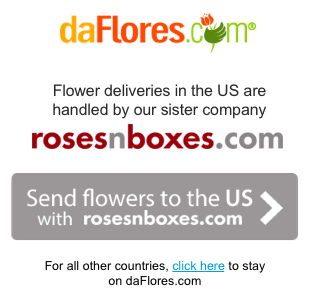 To send flowers to Colombia, Ecuador or any other country in the Americas with daFlores, all you need do is browse through our categories, above, and pick out the most appropriate blooms. We are prepared for both sad and happy occasions. 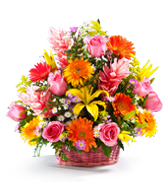 Our florists in Ecuador all have over a decade of experience and provide superb arrangements. No matter the occasion, we treat each flower delivery in Ecuador as a special event and act accordingly. With our guarantee, bilingual customer service and commitment quality, you can trust daFlores every time. No matter what the occasion is we have a broad selection of flowers in Ecuador available for same-day delivery to any city in Ecuador. Same Day Flower Delivery to all cities in Ecuador. Para ver esta página en Español, favor visitar nuestra página de Enviar Flores a Ecuador.